In my columns I sometimes refer to something I call the Mexican Boxing School of Hard Knocks. Jhonny Gonzalez is an honor graduate. He turned professional at the end of the previous century, in August 1999, almost exactly a month before he turned 18. He lost that fight, and the next one two. But he won his next 14, 12 by stoppage, before dropping back-to-back decisions against Ricardo Vargas, a veteran who was more than a decade older than him, with nearly three times as many fights. Despite the setbacks, he was on the brink of contender status. He reached it in October 2010, when he knocked out 65-8 Chaiya Pothang to claim the WBO bantamweight title. He followed that win by knocking out Hall of Famer Mark Johnson and then defeated Fernando Montiel. But he lost two of his next three by KO. His career has always been marked by big highs and crushing lows. Gonzalez earned recognition as the WBC featherweight champion in April 2011, when he knocked out Hozumi Hasegawa. Knocking out Hasegawa should hardly earn somebody recognition as a world champion, but such is the stupidity of the alphabet-soup era. Gonzalez defended the belt against a few equally obscure “challengers” before dropping it to Daniel Ponce De Leon. By this point in his career, Gonzalez looked to have descended to true gatekeeper status. But then he recorded the biggest win of his career, jumping all over Abner Mares in August 2013, KOing him in Round 1 to reclaim the WBC strap. At the time, Mares was viewed as a pound-for-pound top 10 talent. Gonzalez was battered by Gary Russell Jr. in March 2015 and that performance would seem to suggest that he truly is a second-tier talent at this point. He also lost to Johnathan Oquendo by majority decision in 2015. He has won five straight since then. 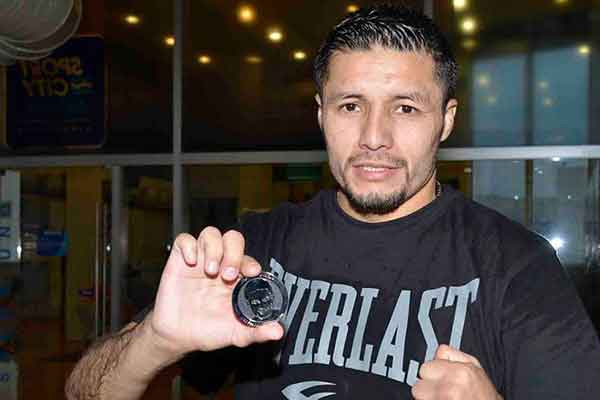 Saturday in Hidalgo he returns to action against unbeaten Filipino Jessie Cris Rosales. Rosales has never fought outside of his native country. For him, this is the opportunity to finally add a big name to his record. For Gonzalez, it is the opportunity to prove that he is still a dangerous puncher, and nobody’s stepping stone.